Oklahoma! on Broadway in the 1940s. Half a century ago The Modern Library published Six Plays by Rodgers & Hammerstein and the complete libretti of Gilbert & Sullivan operettas; when I was in grade school, those two books were the earliest purchases I made for my own library of musical-theatre scripts. I recalled my excitement at having these musicals at my fingertips when I received my copy of The Library of America’s new two-volume collection American Musicals. It’s expertly edited by Laurence Maslon (who was responsible for Kaufman and Co.: Broadway Comedies, their aggregate of George S. Kaufman collaborations) and handsomely packaged, with gorgeous production photos – most of which I’ve never seen before – and copies of show posters and sheet music. Each of the volumes contains the books and lyrics of eight musicals, arranged chronologically and divided roughly into decades, 1927-1949 and 1950-1969. Maslon has chosen cannily. His aim was to pinpoint musicals that, either on their own or representatively, showcase significant developments in the history of the genre as well as to include others that give a sense of their era. 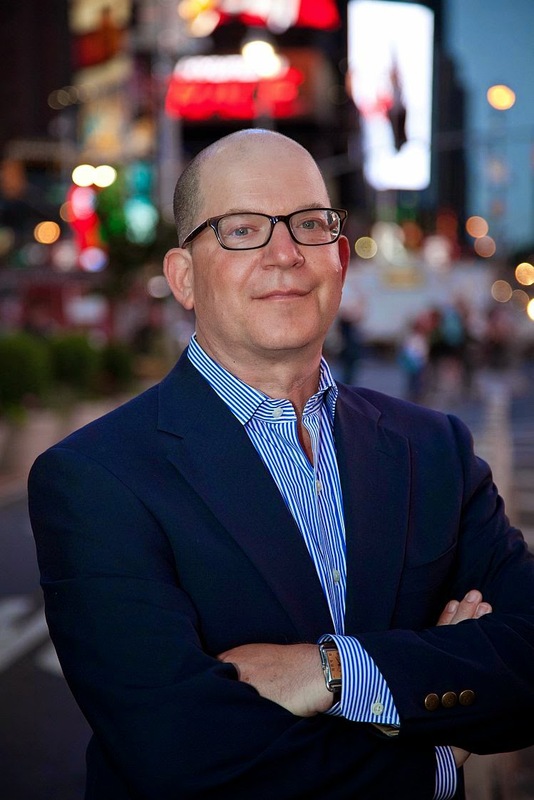 Logically, he begins with Jerome Kern and Oscar Hammerstein II’s Show Boat, the first American musical with a dramatic narrative to which many – if not quite all – of the songs are subservient. Coming out in 1927, Show Boat was such a leap past the Victor Herbert, Rudolf Friml and Sigmund Romberg operettas, the George M.Cohan vaudeville musicals, and the musical farces Kern himself had scored – the Princess Theatre shows he wrote with P.G. Wodehouse and Guy Bolton – that it still seems like something of a miracle. No one before Hammerstein and Kern had ever thought of shaping a stage musical from a novel (in this case, Edna Ferber’s 1926 bestseller). And the show-business setting permitted a melding of two sub-genres, the so-called “naturalistic” musical (a contradiction in terms; I prefer the term “romantic musical”) where characters burst into song or break into dance in the midst of ordinary conversation, and the backstage musical, where songs and dances are mandated by the let’s-put-on-a-show framework of the story. So in Show Boat, most of the songs – like the three duets performed by the protagonists, the gambler Gaylord Ravenal and Magnolia Hawks, the daughter of the show boat captain, who perform love scenes both on and off the stage – are stylized expressions of emotion or declarations of identity, while a handful of others, mostly dances, are numbers performed by professional entertainers in a theatrical context (on the show boat, in rehearsal, in a Chicago nightclub). Rodgers and Hammerstein are credited with pioneering the modern book musical in Oklahoma!, in which book, song and dance are completely coordinated. I can’t dispute the fact, though I vastly prefer Show Boat, with its patchwork of musical numbers, or, God knows, George and Ira Gershwin’s and DuBose Heyward’s 1935 Porgy and Bess (which is usually called an American opera) to anything Rodgers and Hammerstein ever turned out. Oklahoma! may be a seamless interweaving of these elements, but its plot, which hinges on Laurey Williams’s anguish over whether to attend the box social with the cowboy Curly or the cowhand Jud Fry, is hopelessly prosaic, not to say idiotic, and those gee-gosh forced-vernacular Hammerstein lyrics set my teeth on edge. Of course, Maslon would be remiss to omit it; the only milestone in American musical-theatre history that isn’t in his collection is West Side Story – another classic I’m not crazy about – though I think his inclusion of the two earlier choreographic breakthroughs, back to back, is probably sufficient. 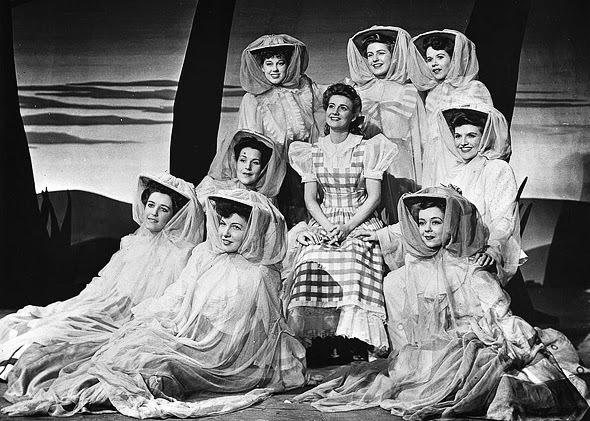 He also offers South Pacific (1949), which, of all the Rodgers and Hammerstein shows, has the strongest narrative, based on James Michener’s Pulitzer Prize-winning stories set on the Pacific front during World War II. Since readers are encountering these plays without the benefit of hearing the music, it’s appropriate that so many of them have distinctive and memorable books; that’s the most striking characteristic of the musicals included here. As Thousands Cheer (1933) is one of the last of the great Broadway musical revues, a genre brought to a level of tremendous sophistication in the 1920s. For aficionados, it’s the hidden gem of the collection, since it’s never been published before and it’s never been revived. Moss Hart wrote the sketches and Irving Berlin the songs, which dramatize a series of newspaper headlines: “Heat Wave” (the weather report), “Easter Parade” (in the rotogravure section), “Supper Time” (about the mob lynching of a black man) and so forth. Pal Joey (1940), the pinnacle of the Rodgers and Hart collaborations, carries a book by John O’Hara, based on his stories, that brings his unmistakable argot and hard-boiled style, redolent of the Depression era, to the stage for the first and only time. (Tremendously popular in his day – which lasted considerably past the thirties – O’Hara has slipped through the cracks of twentieth-century literature, but his voice is as unmistakable as Fitzgerald’s or Hemingway’s.) Finian’s Rainbow (book by E.Y. Harburg and Fred Saidy, score by Burton Lane and Harburg, 1947) combines whimsy with social and political satire. The 1968 Francis Coppola movie drew easy condescension from critics who found its attitudes dated; when it was revived on Broadway in 2009, in a rambunctious, exuberant production directed and choreographed by Warren Carlyle, critics were dumbfounded to discover that its political consciousness was in fact remarkably forward for its time. (To be fair, the Coppola movie, though not nearly as terrible as it was made out to be, botched the satirical strains of the material.) The Pajama Game (score by Richard Adler and Jerry Ross, book by George Abbott and Richard Bissell, 1954) is in many ways the quintessential fifties musical comedy, set in the Midwest. Its central romantic pairing, between a pajama-factory superintendent and the head of the grievance committee, obliged to work through the tensions between management and labor, supplies a new twist on the requisite obstacles that threaten to keep a couple apart in any conventional romantic musical. Here are three of the best libretti ever conceived for the American musical-comedy stage. Kiss Me, Kate (book by Sam and Bella Spewack, score by Cole Porter, 1948) is about a pair of contentious, narcissistic ex-spouses playing Petruchio and Katherine in a musical adaptation of The Taming of the Shrew. Guys and Dolls (music and lyrics by Frank Loesser, book by Jo Swerling and Abe Burrows, 1950), is culled from a pair of Damon Runyon stories set among Broadway gamblers and gangsters and showgirls. (Maslon’s notes point out that Swerling, best known as a Hollywood screenwriter, has always, by contractual agreement, received credit for co-writing Guys and Dolls when in fact the book was entirely Burrows’ work.) And A Funny Thing Happened on the Way to the Forum (book by Burt Shevelove and Larry Gelbart, score by Stephen Sondheim, 1962) takes the Broadway music back beyond its vaudeville roots to the origin of all stock farce, even Shakespeare’s: the comedies of the Roman playwright Plautus. It may be the funniest musical ever written. And here are the three musicals I would consider the high points in literacy and dramatic structure in the American musical: Alan Jay Lerner and Frederick Loewe’s 1956 My Fair Lady (from Shaw’s Pygmalion); the 1959 Gypsy by Jule Styne, Arthur Laurents and Stephen Sondheim; and Jerry Bock and Sheldon Harnick’s 1964 Fiddler on the Roof (from stories by Sholom Aleichem). It would be hard to choose among this trio. My Fair Lady is the wittiest, Fiddler the most profound and the most moving, Gypsy – with its stage-mother protagonist, Mama Rose, whose daughter turns into the stripper Gypsy Rose Lee – the most psychologically complex. Musical-theatre lovers have seen all three, many times; their accomplishments remain undiminished. I wouldn’t say that either of the last entries, Cabaret (book by Joe Masteroff, music by John Kander, lyrics by Fred Ebb, 1966) or 1776 (score by Sherman Edwards, book by Peter Stone, 1969), is exactly a masterwork. In fact, 1776 is the only musical in either volume that doesn’t seem worthy, either on its merits or for historical reasons, for inclusion in this impressive collection. Presumably Maslon included it because its subject matter – the writing of the Declaration of Independence – is so novel and eccentric. It’s obvious why he wanted to put in Cabaret, set in Weimar-era Berlin, where, breaking dramatically with Broadway musical tradition, some of the numbers – the ones performed at the Kit Kat Klub – provide Brechtian commentary on the action. It’s generally acknowledged that Bob Fosse’s 1972 movie version, with its Jay Presson Allen screenplay, elevated the musical by adopting a Brechtian approach for all the numbers, that is, completing what the writers of the stage musical and its director, Harold Prince, began. The revivals of Cabaret that have come about since the movie, including the one currently playing in New York, have attempted to incorporate more of the movie into the stage play – not only the new songs Kander and Ebb added to the score but also the issue of the male hero’s bisexuality. But it doesn’t work, because Allen and Fosse really reconceived the show for the film; it can’t simply be ransacked for its best ideas. 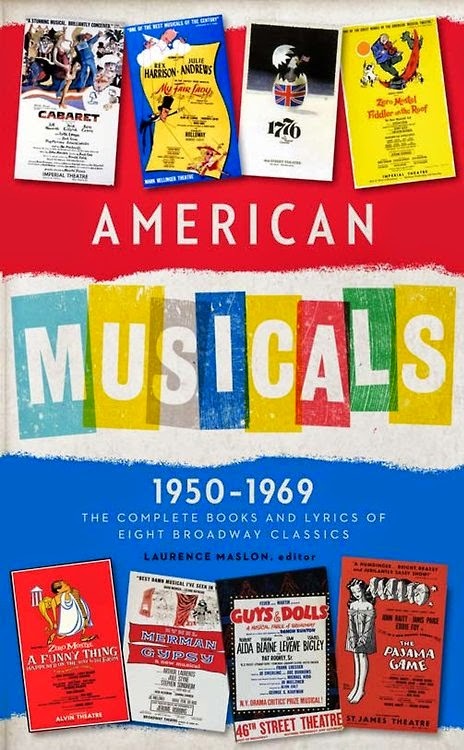 Each volume of American Musicals includes an appendix of additional lyrics (either added or discarded) as well as some tantalizing extras, short essays written, either for the playbills or for The New York Times, by some of the writers that discuss the creation of the musicals. You can read both Rodgers and Hammerstein (writing separately) on South Pacific, Larry Gelbart on A Funny Thing Happened, and, best of all, Bella Spewack on Kiss Me, Kate and the art of collaborating with Cole Porter. These volumes are a charming and unexpected outgrowth of The Library of America’s archives. For musical-theatre buffs, they are indispensable.